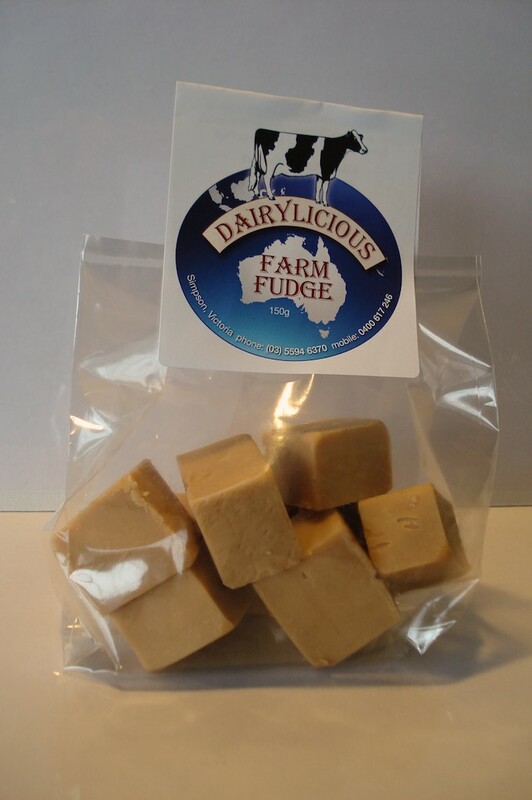 If you love old fashioned pure products then this Creamy Caramel Fudge is for you its all gluten free! no preservatives, no additives, no artificial colour. 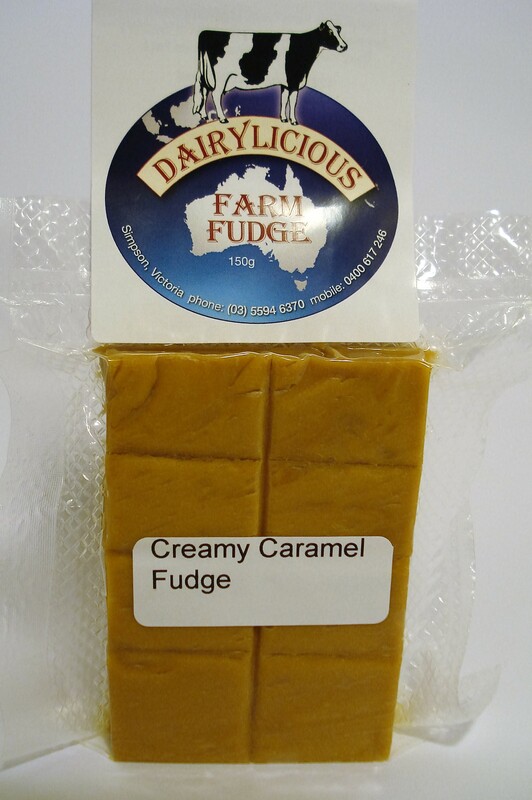 Proudly made in the Western District Victoria from 100% Local Dairy industry ingredients. 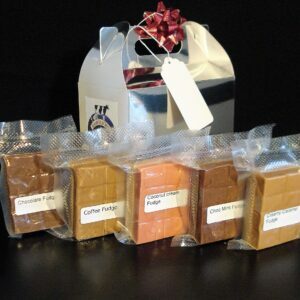 The best ingredients direct from the 3 local Dairy Milk Companies . 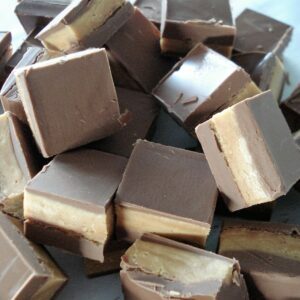 Caramel is smooth and light , you will struggle to stop at one piece. 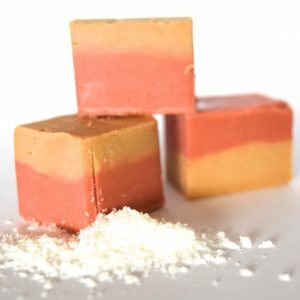 If you love no preservatives, no additives, no added colour, try this original old fashioned recipe product . 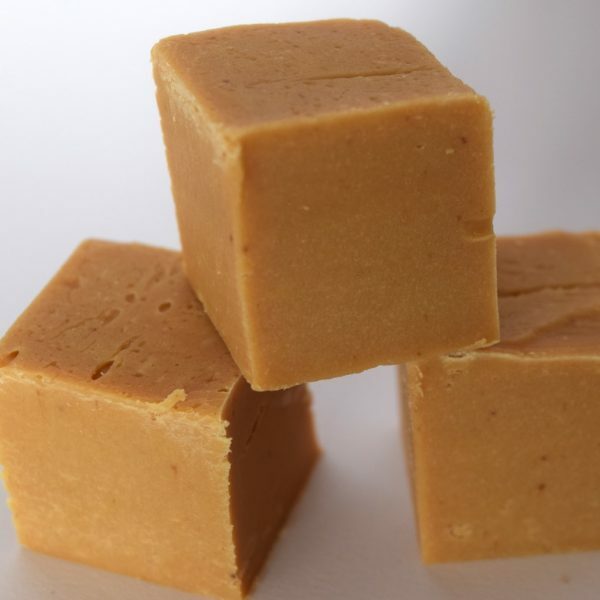 You will love this creamy caramel fudge which is also Gluten Free! This is our most popular product because it is so creamy and smooth. This process is cooked to create real caramel from raw ingedients for over an hour whilst being automatically stirred adding a super smooth dimension to the mix. Be warned you’ll want more than just one bag , so grab one also for a friend with your selected size Australia Post satchell delivered to your home address for under $23.00 Christmas mix and all year gift hampers are coming so watch this site!! 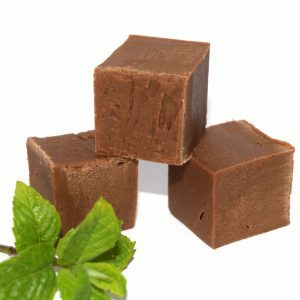 This Creamy Caramel fudge is smooth and light , you will struggle to stop at one piece. 150 Grams : By mail you will receive the chrio flat packed version.